The recent trailer gave us a good, but very brief, look at Chewbacca embracing another Wookiee in what looks like a moment of real emotion from our beloved Chewie. 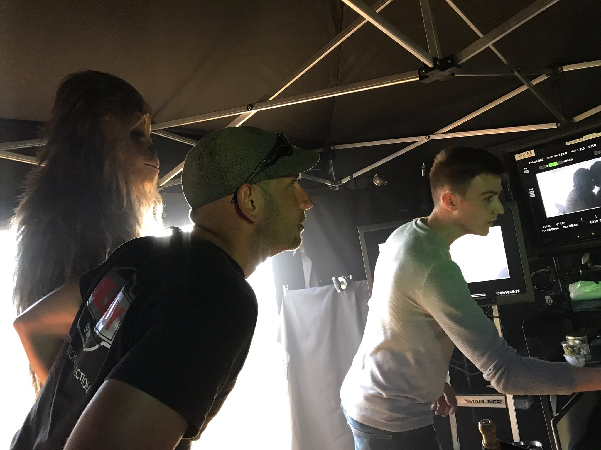 Of the many things that are rumored to be a part of Solo: A Star Wars Story, exploring Chewbacca’s past wasn’t one of them. And aside from seeing Han free Chewbacca from slavery, there hasn’t been any indication we would even see other Wookiee’s at all. And while it may have sent Twitter into a fit last night when the latest trailer premiered during American Idol of all things, it actually wasn’t the first time we’ve seen this scene. In one of the many behind the scenes shots Ron Howard has been teasing fans with since he assumed the director’s chair many months ago, one of them was a very quick glimpse of this moment. It’s clear that the soft tender moment between the two implies more than just friendship and based on the height of the other Wookiee we are left with only one conclusion, that the Wookiee is an adult and is very likely Chewbacca’s wife Mallatobuck, or simply Malla. We of course know all about the debacle that was the 1978 made for TV movie, “The Star Wars Holiday Special” which took place on Kashyyyk and featured Chewbacca’s family including his wife Malla and his son Lumpawaroo aka “Lumpy”. When Disney purchased Lucasfilm, that story however was relegated to the Legends Category and not entered into the new Canon timeline. That all changed in 2015 with the release the novel “A New Hope: The Princess, the Scoundrel, and the Farm Boy” and Malla was officially introduced into canon. She has since been mentioned in the “Aftermath” series of books written by Chuck Wendig there by cementing her place in the timeline for ever. Chewbacca, fulfilling his “life debt”, would remain by Han Solo’s side throughout his smuggling years and the Galactic Civil War. It wouldn’t be until the liberation of Kashyyyk from Imperial rule in 4 ABY that the family would be reunited and old wounds healed. So could this scene in Solo be Chewbacca saying goodbye to his beloved Malla before he takes off for many years of adventure and rebellion? 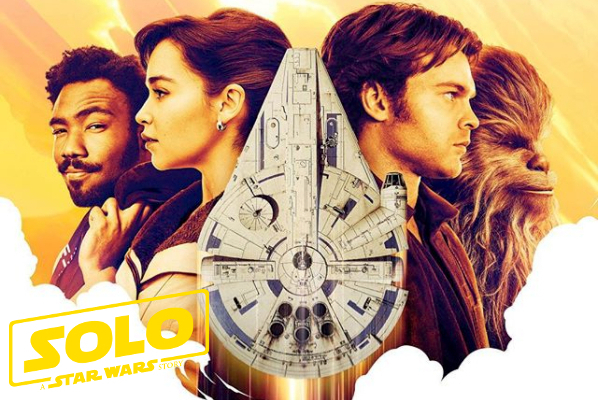 It seems Ron Howard and the Kasdan’s are cramming in quite a bit of Han Solo’s greatest hits into this film so it makes sense Chewbacca wouldn’t be immune to that treatment as well. Whether or not fans are prepared to see their favorite Wookiee acting amorous towards another, well, that's up to you to decide.